Questions from Rebecca: How do I make the church's website more relevant...more likely to draw people in? First, on the website I recommend 3 things: a good design, a simple structure, and clear communication. You need your website to look good and make a great first impression. The site needs to be easy to navigate and communicate clearly what you want the visitor to see/read. 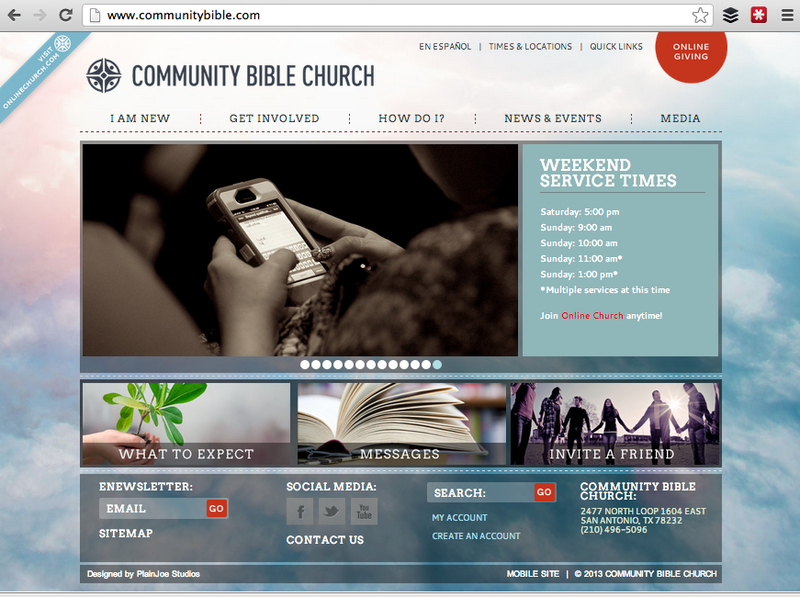 The biggest mistake that I see churches making on websites is not having services times and location on the front page. This is the primary thing that most visitors to a website are searching for. Make this clear and easy to find (and appealing to attend). Casual: What's the best burger in town? or What football team are you cheering on this weekend? Personal: What one person has impacted your life more than anyone else? or What is your favorite childhood memory? Spiritual: Type 1 word to describe God or How can we pray for you today? I would lean on the Spiritual, but don't hesitate to start casual and then get personal. I don't think you can ask too many questions on Facebook!